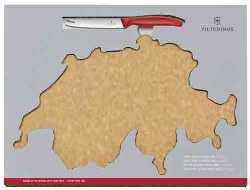 Victorinox cutting board in the shape of Switzerland including a cheese and sausage knife. 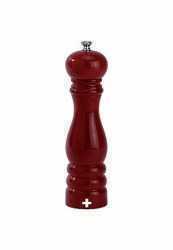 Bread bakset that can be used for many different things like bread, rolls, cupcakes, cookies, you name it! Bamboo serving board with slate inlay decorated with Swiss folk images. Wooden cutting/serving board with removable glass insert. 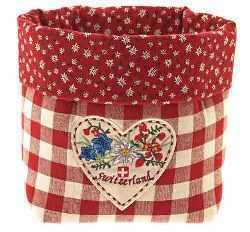 Bread basket made out of red checkered fabric with an Edelweiss flower pattern and heart design. Can be used in many different ways! 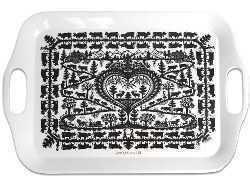 A durable white Melamine tray with an intricate black scissorcut design. The tray measures 16.5? L by 11.5?W. Hand washing is recommended. 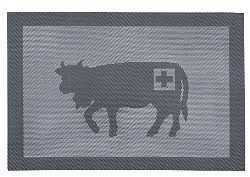 The Home Swiss Home cutting board measures 11" x 4"
The woven black/grey vinyl placemat shows a cow wearing a Swiss cross and a bell. The placemat is reversable. 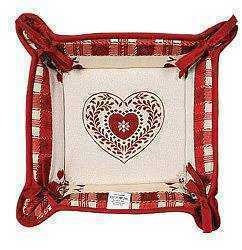 Placemat measures 12" x 17.75" and is hand-washable.